mply outstanding Matt.....The hair is just stunning. How much for a mohair toupee???? Thanks Tommy. What are you wanting hair on. I may have enough left over for a toupee. Very nice mask and I like that fact that you didn't go overboard with the detailing. The original was painted white Don Post Captain Kirk mask and it looks like that's what you've done to this. The hair is flawless and I do like the flesh tones showing through on the neck. 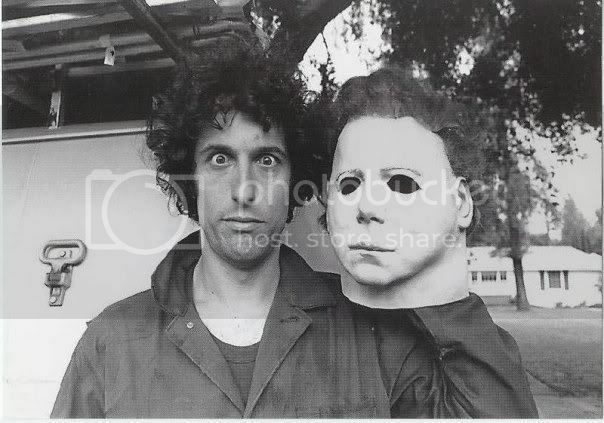 This is a very impresve Michael Myers mask. Nice work. Nice and ghastly white with a touch of flesh tone and weathering....looks great man! Killer job! I agree with all of you. The weathered look has been taken so far. This looks perfect. Thanks man. This is exactly what I wanted to acomplish. My vion for the mask was to not go overboard with the detail and weathering. I wanted that ghostly look as if Tommy Lee Wallace just did the paint and it had been used slightly. I really appreciate the compliment. Thanks to everyone else for the cool comments. Here are some more pics. Those worn shots are just nuts! !